My daughter loves the '80's so naturally had to be Smurfette!! 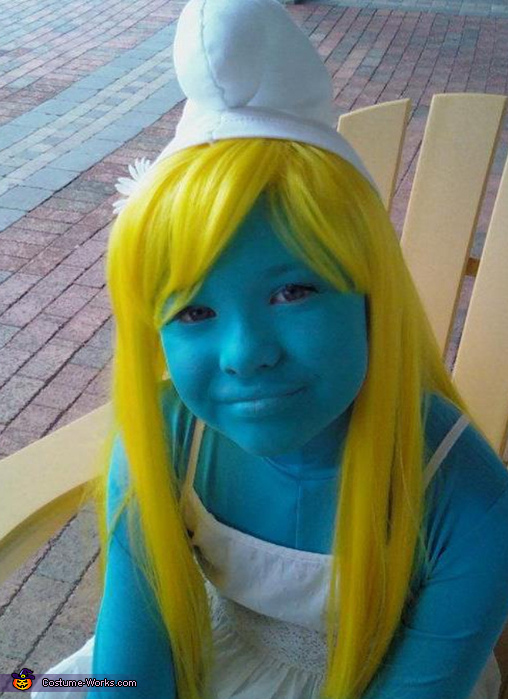 We got a blue body suit and blue face paint as the base...added a white sundress and a yellow wig! I drew a hat pattern free Hand and then stuffed and sewed it! She was like a celebrity when she wore it!! Everyone wanted pictures with Smurfette! It looked perfect! !